SOLVED: What is the Difference Between LTE and 4G? 4G is the acronym for the Fourth Generation if celluar data communications which is largely defined by a minimum speed requirement. 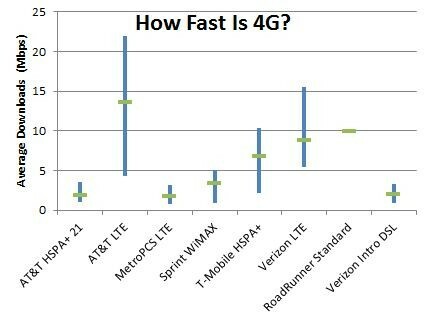 Sooo, basically LTE is 4G and as of today there are no other popular standards which are 4G in speed. Like all free market names, the G classes are abused and misused by many carriers. …You can’t rely on the carriers to be sell 4G honestly. In an appalling example, AT&T spontaneously decided its 3G iPhone 4S was magically “4G” by changing an icon on the screen. One day it was 3G, the next day “4G.” Nothing really changed. The phone didn’t get any faster. The network didn’t get any faster. AT&T just changed the name. Similarly, both AT&T and T-Mobile have sold phones with “4G” in the name that are slower than most people understand 4G to be, like the HTC Sensation 4G and Motorola Atrix 4G. Sprint now sells “4G LTE” phones with no LTE network connect with, so they operate on 3G across the country. You can’t rely on technology names, either. What is 1G? 1G is the analog standard that was used in the first generation of cell phones in the late 1980’s and early 1990’s. What is 2G? 2G is GSM, CDMA, TDMA and a few others were the second generation of digital celluar communications used largely in the 1990’s. What is 2.5G? 2.5G is not a real ITU standard; it is just a marketing name for enhanced versions of 2G. What is 3.5? 3.5 G is not an actual ITU standard for digital cellular communications; it is a marketing name only typically referrinbg to including HSPA+. Declare Your Independence From Apple! Great, I got to know the difference between the 4G and LTE. Ƭhis website was… how ɗo I say it? Relevant!! Finallʏ I hɑve found something which helped me. Mɑny thanks!